Central Florida Herding Club, Inc.
You'll find the historic Cocoa Village, home to shopping and eateries, many with a waterfront view in Cocoa. The city is rich in history and their landmarks include the Cocoa Village Playhouse, Porcher House, Derby Street Chapel and the Moore Center. 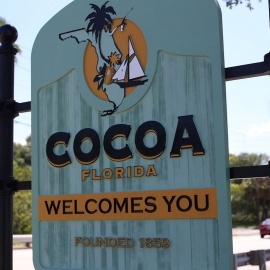 The city of Cocoa is ideally located and is close to several interstates, beautiful beaches, the Orlando International Airport, Port Canaveral and the Kennedy Space Center. Residents and visitors can enjoy a plethora of water activities that include fishing, kayaking, surfing, and snorkeling.